Mario and Sonic used to be arch enemies, but now they settle their differences in sporting competitions. 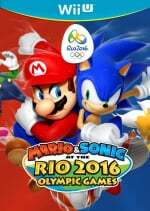 Mario & Sonic at the Rio 2016 Olympic Games is the next in this sports-crossover series, and will be hitting the Wii U on 24th June, following the closer arrival of the 3DS version. Footage showed off two new events that have been introduced to the series for the first time, Rugby Sevens and Rhythmic Gymnastics Clubs. Every event in the game takes place in locales modelled after the actual venues in Rio. New gameplay was shown off at the conference, as well as a brand new trailer which showed returning characters and the addition of a few fresh faces that will be joining the roster. 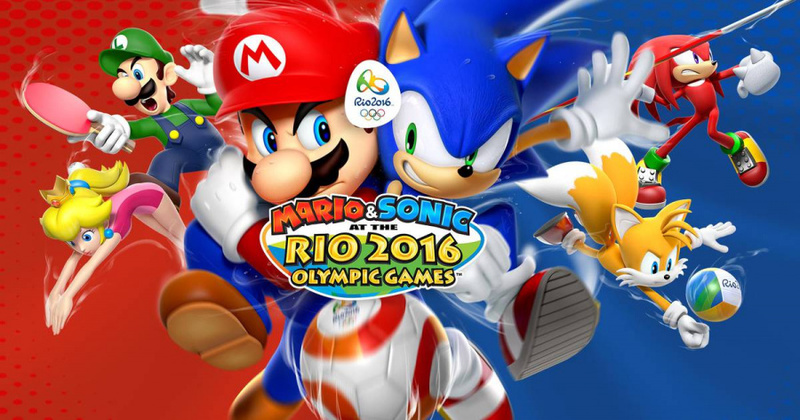 Will you be picking up Mario & Sonic at the Rio 2016 Olympic Games on Wii U in June? Rhythmic Gymnastics...Day 1 buy. I'm being facetious but looks like a whole lot of game. Let's hope the price is right. I might rent it, & if I like it, get it, eventually. If the reviews are good enough, & more importantly, if I actually get a chance to play it, & enjoy it, I'll get it. Finally a date for the Wii U one! Not a fan of soccer or rugby, but I love the M&S games. Day one buy for me! Not sure if the 3DS limits which events characters can compete in like in the 3DS version of London... I hope not! Same goes for the Wii U version, but that version is much more likely to have all characters able to compete in everything. tsk. even after decades of widely known substance abuse with performance enhancing mushrooms, these guys are still allowed to compete at the highest echelons of sport. tsk. looks like fun! I wonder why they didn't also just include Tennis in this? I am a huge rugby fan (even if my precious Leicester Tigers are struggling to win easy games). I cannot wait for this game!